This 4 in 1 air purifier combines electrostatic, Ionic, UV and Carbon Filter four functions air cleaning technologies in one compact device. The benefits are obvious: It does a better job cleaning your air, costs less than several stand-alone devices, takes up less space, and uses less energy than separate units. 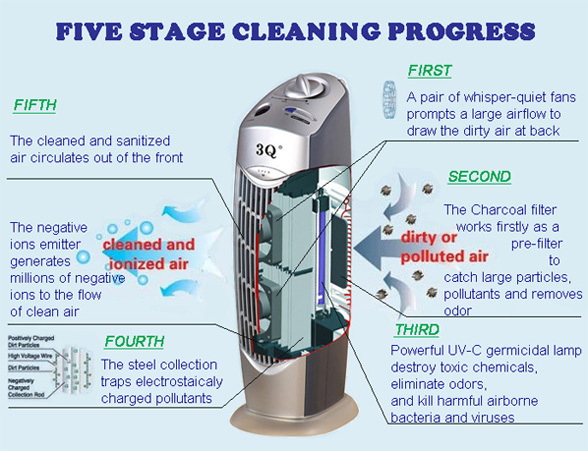 Whether you want to remove bacteria, dust and pollen, drastically reduce cigarette smoke, or get rid of bad odors, The Air Purifier can handle all your needs. You can freely enjoy the wonderful fresh air from the nature now. High electrostatic plate traps the dust, pollen, smoke etc.as small as 1 micron circulated in the air. 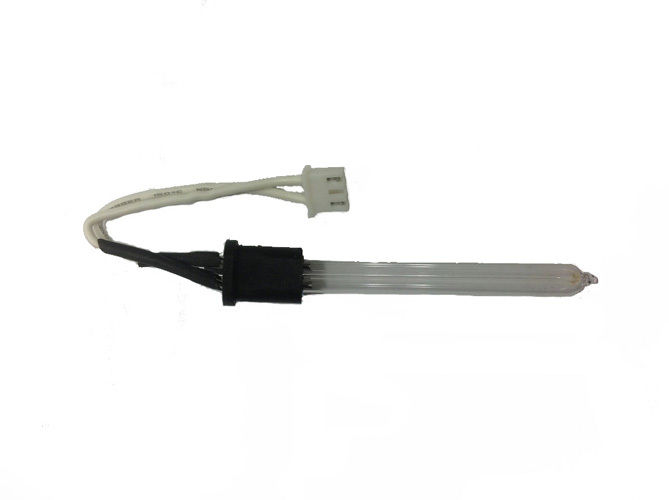 Powerful UV-C germicidal lamp destroys microorganisms such as germs, viruses and bacteria, and helps create a healthier environment. A pair of super quite fans with three-speed control prompts a large airflow without distractive noise. No costly filter to replace. 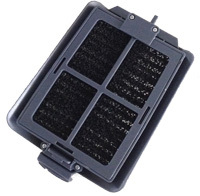 The Charcoal filter is washable and the steel collection cartridge can be removed simply and wiped clean with a damp cloth. Innovative design combines an air purifier with a soothing night light. Rated Voltage: Input 120V AC(adapter). Ion output: 6 million ions/cm3. FAAAASST Shipping, Noticed fresh air in cat room within 2 hrs! YEH!!! I bought this pair to use in our dusty old house. My wife has allergies and dry eyes and I thought the 3Q might help. After using these for about 3 weeks, my wife gives a thumbs up and I agree. I don't see dust floating in the sunlight like before and my wife's breathing is better, as well as her eye irritation. The unit is easy to clean, open the top remove the grid, wipe it clean with a dry rag, replace grid and turn it back on. There are two speeds. Lo is barely audible, while Hi makes a bit more noise, it is not a distraction. High moves a lot more air than low. These are suitable for small rooms, say around 200sq ft. Both are in a slightly larger area, but seem to be working to our satisfaction. I will give another star if both are still working after one year. I've got a chronic dust problem, even after they steamed the ventillation ducts. I live in an old building. In other words, I live in a no-win environment, but this air purifier is performing above and beyond my wildest expectations. Best of all, my dust allergies are gone. I haven't sneezed in a week. I've had this dual pack plugged in for a week now .. and it's made all the difference in the world. Do I still get dust? Yes .. but that's because of the ventillation ducts in an old building, plus I open the windows a lot. How much dust? Very darned little .. and it takes a few days before I even notice it. And then I have to look for it. It's like I'm living in a normal enviroment for a change. I purchased 2 of these units. There are well designed and work quite well. They are good quality, easy to clean and very quiet when operating. I purchased these filters in an effort to reduce my use of nasal sprays and allergy medication. Boy, do they work! I have one in my bedroom and no longer need to take anything for a good night's rest! The other is in my living room and requires more frequent cleaning since it's clearing a larger more active area. I don't have any use of the built-in light and the small fan occasionally makes noticeable noise though it disappears if I open and close the filter access. Very happy with this product. Fast shipping great item a++++ thanks! Fast delivery and excellent product. Atlanta pollen banished from my apartment! Click the button below to add the 3Q AP08 Twin Pack Electrostrostatic Ionic Air Purifier with UV & Charcoal Filter to your wish list.